The following previews of Mindjammer – The Roleplaying Game appeared on the Meme Machine blog during layout work on the game. They’re pre-release versions, before proofing and final page references, but otherwise are substantially the same as their final appearance. Genotypes are the “species” of Mindjammer – the various human and hominid species and subspecies, xenomorph uplifted animals, synthetic lifeforms, mechanicals, installations, alien species, and more. This preview showcases some synthetic and hominid (homo variens) genotypes. Occupation builds are templates you can use when creating your character, providing a pick list of skills, stunts, aspects, extras, and more as archetypes for different occupations and character roles in the Commonality. You can pick and choose from these, or use them wholesale for quick character creation. Mindjammer customises the Fate Core skills list, renaming some skills and expanding others, as well as providing new or alternative stunts. In particular, Mindscape use of skills is incorporated directly into the skill descriptions. 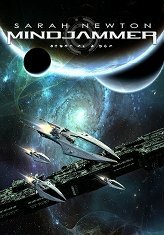 Mindjammer makes extensive use of Fate Core extras. In this preview, extras form the “special abilities” which lie behind genurgic modifications, mechanical enhancements and augmentations, and the natural abilities of genotypes and alien life. As you’d expect, technology is a huge part of Mindjammer. This preview presents some of the settings technological paradigms, and also illustrates how extras and special abilities are used to provide the rules framework for equipment. The Mindscape is the interstellar “shared consciousness” and communications and information storage medium of Mindjammer, capable of storing the memories of citizens living and dead and enabling the awesome powers of technopsi. This preview showcases stat blocks for several of Mindjammer‘s starships, which you can use directly in your game or as template for creating starship extras for your characters, or even sentient starship characters you can play yourself. Starships use the constructs rules, which can be used for creating anything from mega-robots and combat walkers, through vehicles, starships, and even whole space stations, cities, and hyperadvanced space habitats.